At one time or another, most of us have been faced with the prospect of taking over a children's Sunday school class at the last minute. In the panic of the moment, you look at the group of eager faces, expectantly waiting for you to yank a rabbit out of a hat, and wonder how you are going to pull this off. You say a quick prayer, open the supply cabinet and try to figure out how to put together a lesson with a Bible, a coloring book, glue, construction paper and some orange yarn. With Christian Games and Crafts, you will never be faced with that situation again. As a member, you will have a wealth of ideas and resources at your fingertips. Our site is about creative, fun, interactive learning. It is about getting children of all ages inspired about God. It is a source for quick, easy ideas you can grab and go, as well as VBS-style themes that can last multiple days. The Christian Games and Crafts team has many years of collective experience working with Christian youth of all ages in Sunday school, Children's Church and Youth Ministries. Our Editors have varied backgrounds in education, children's ministry, art, writing, and graphic design. We firmly believe that children retain more when they are engaged in the learning process. All of the materials from Christian Games and Crafts are designed to be hands-on, thought inspiring, fun, message-reinforcing activities. Items are based on many subject areas from seasons and holidays to people of the Bible and topics like love, witnessing and rainbows. Most items can stand on their own, such as a lesson on Creation, or can grouped with other related items such as a fast-paced game, a cool craft or a praise song. We hope you enjoy the site as much as we do. 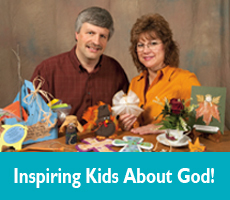 Thanks for being a part of the Christian Games and Crafts community and spreading the awesome message of God.